135 S Lee Street, Salisbury, NC 28144 (#3456153) :: Robert Greene Real Estate, Inc. 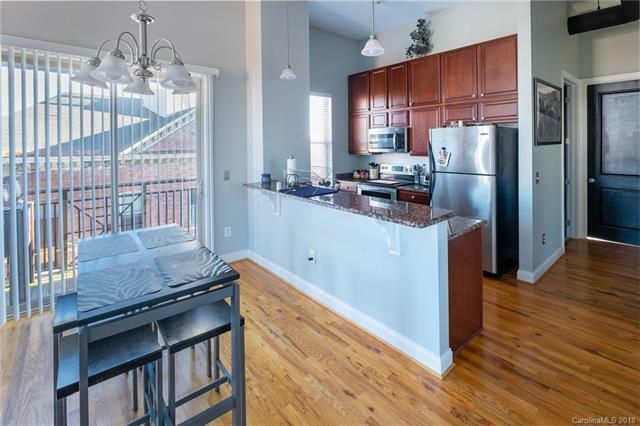 Very attractive 2Br/2Ba condo conveniently located in downtown Salisbury and close to great shopping, dining, entertainment, and I-85. Located on the third and top floor with elevator access and a walk-out balcony, this corner unit with large windows is ideal for those who prefer open space and beautiful natural lighting. Gorgeous hardwoods and tile floors, stainless appliances, and granite countertops give the space a warm, yet modern feel. Places like this one don't present themselves often, grab it while it's available! Offered by Jones Property Management & Realty Inc. Copyright 2019 Carolina Multiple Listing Services. All rights reserved.